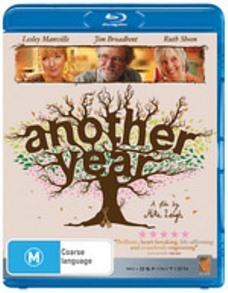 One of 2010’s most emotionally poignant films, Another Year is an often awkwardly-funny depiction of needy, miserable people trying to make sense of their lives. Making its way to Blu-ray via Icon entertainment, the disc is unfortunately devoid of special features, but the film itself is a must-see. At the centre of Another Year is a happy, middle-aged couple. Tom and Gerri (get it?) are played with easy contentment by Jim Broadbent and Ruth Sheen. 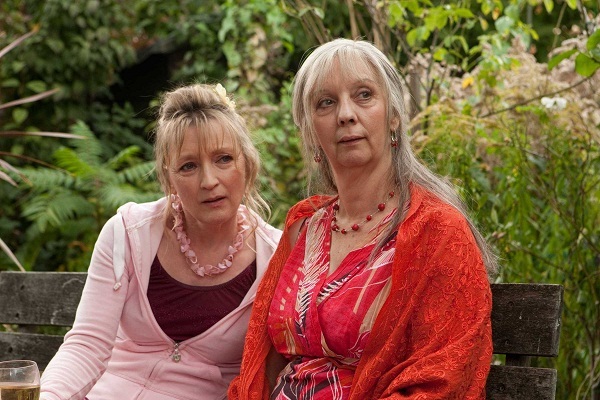 Into their blissful domestic lives comes Gerri’s work college, Mary (Lesley Manville), a talky, unhappy woman who jibber-jabbers about nonsense in a desperate attempt to cover up her own insecurities. It’s obvious to both Tom, and especially Gerri – who works as a psychologist – that Mary is troubled, but even when she drinks too much and overstays her welcome, they’re too nice to say anything about it. As the title implies, the film takes place over a year, with helpful title-cards delineating each season. In summer, another friend arrives to leech Tom and Gerri’s positive energy. He’s Ken (Peter Wight), a bitter old friend of Tom’s who laments that his favourite pubs have been commandeering by a new generation. Eventually, come winter, the family visits Tom’s monotone, grieving brother, Ronnie (David Bradely), whose wife has just recently passed away. Mike Leigh’s unconventional shooting method is well documented. (Instead of beginning with a script, he begins with a thinly sketched outline, gets his actors together to craft character backstories, then improvises until the script comes into form.) The nuance that results is manifest in how effective – and affecting – the movie is. Broadbent and Sheen are perfectly pitched as the relaxed couple who always know the right thing to say, but nonetheless seem to be quietly judging those around them. Manville is the standout, however, in the showier role as the damaged Mary, and her character impressively moves from being grating to ultimately very sad and sympathetic. The scenes where Mary flirts with Tom and Gerri’s son, Joe (Oliver Maltman), especially, are masterclasses in social inappropriateness. That’s ultimately the greatest strength of the movie: it captures the nuance, joy, pauses and awkwardness of everyday conversation and existence. Devoid of artifice and elegantly constrained, Another Year is a little gem. The high-def transfer is colourful, crisp and blemish free, and is presented in 1080p in its original aspect ratio of 2.35:1. There are two English audio tracks, one DTS-HD Master Audio 5.1, the other Dolby TrueHD 5.1. The disc is playable in all regions (ABC). Though this release can be played worldwide, unlike the release in other territories this disc is missing the Mike Leigh and Lesley Manville audio commentary, and two short 12-min featurettes. There are a grand total of zero special features here, which, for a film of this quality, is real shame.